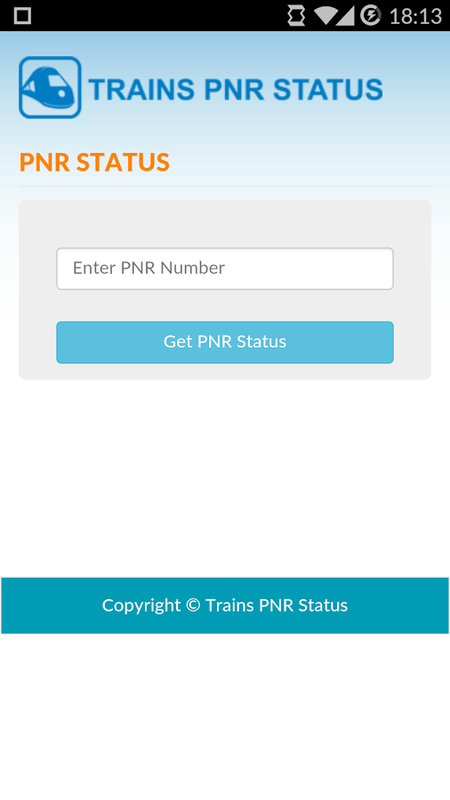 Trainspnrstatus.com has launched a simple Android app to check PNR status on your mobile. Through this app you can check your PNR status in three easy simple steps. 1) Find your PNR number printed on your ticket. 2) Enter 10 digit PNR number in the app UI. 3) Hit Get status button.